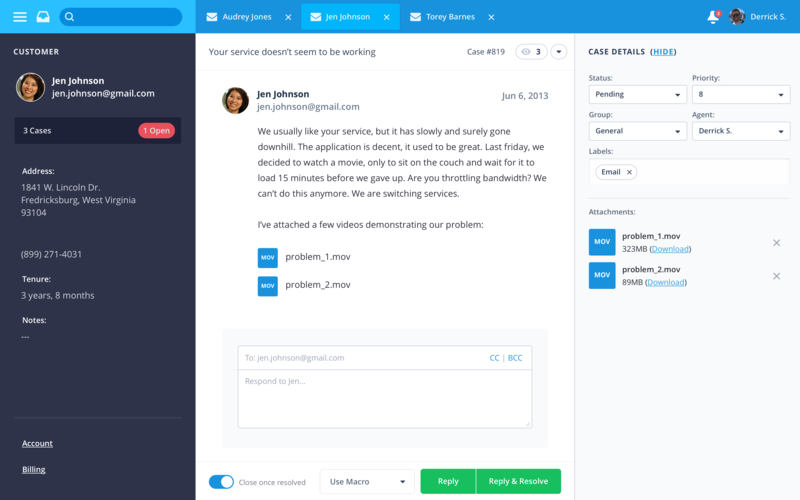 Desk.com is an out-of-the-box helpdesk for small and mid-sized businesses. I joined Desk.com (formerly known as Assistly) just after they’d been acquired by Salesforce. A lot of the early early focus and the challenges we faced dealt more with integrating and positioning the company post-acquisition rather than optimizing and iterating on the existing product. 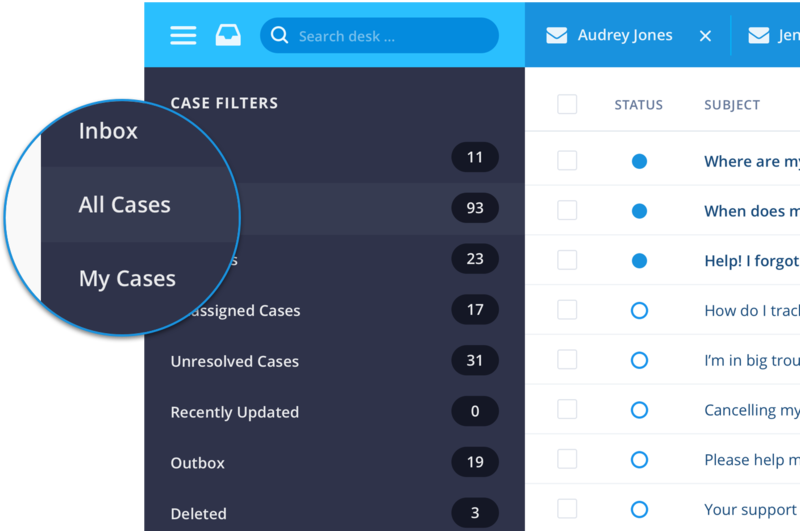 I worked on the design of the case management experience on desktop. The team and myself decided that an updated visual language which more closely aligned Assistly (now desk.com) with Salesforce, would bridge the gap between our new goals and continuing to improve the user experience. At this point, existing user feedback and pain points were well-documented from the current app. We would take advantage of the new goals and requirements by addressing the users needs in the latest version of the application. The product manager and myself assembled a pool of existing users at companies such as; Lyft, Uber, Munchery, Soundcloud, Luxe, and Hotel Tonight so we could quickly test various versions of the new application. After testing and feedback, we gathered some valuable insights with regards to the case management tool. This view displays all of an agent’s cases. Cases are organized using filters (on the left panel), they can be defined by labels, properties, or custom fields. 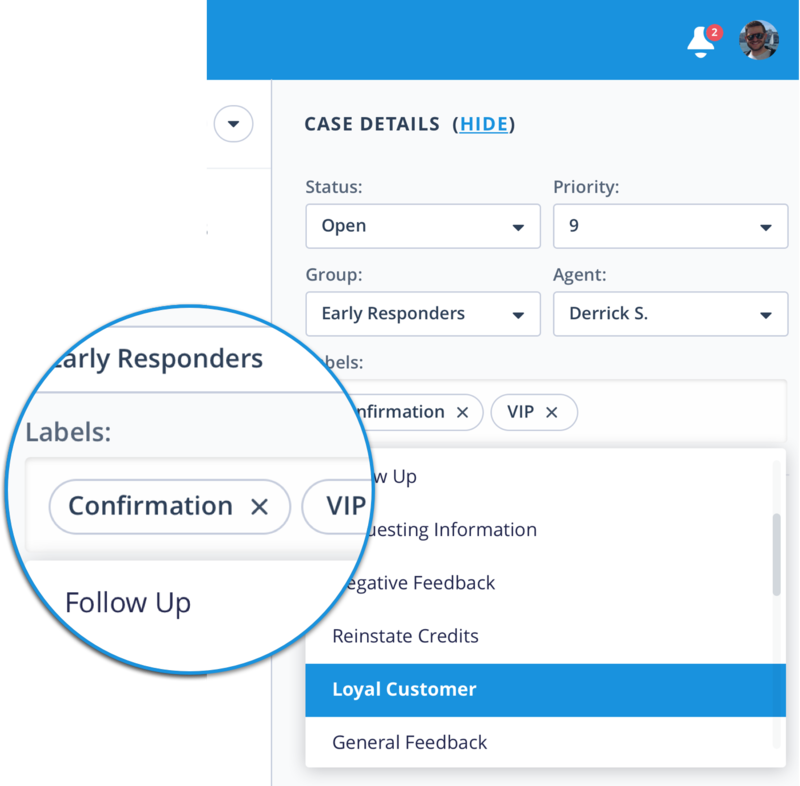 An agent can quickly toggle between filters to see different sets of cases; this helps them stay organized and on top of their case load. Adding Labels enabled agents to quickly and easily sort cases and generate reports. Custom fields let them add customized information. This information could be unique to their business (purchases, services, etc). Labels were very helpful in staying focused and organized. Prior to this update, agents would have to individually close out multiple cases that were similar in content, ie. users who forgot their passwords. 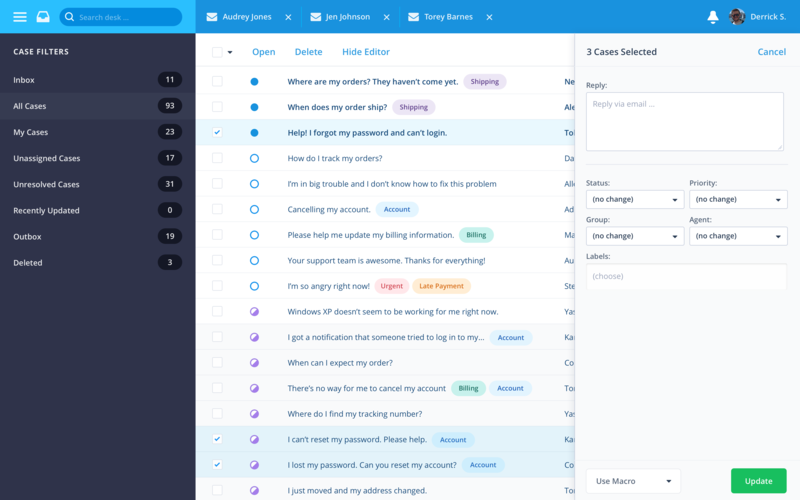 After speaking with users and understanding their frustrations around this; we designed a slide out panel (which seems like a normal pattern now, but in 2012 was unique) for bulk editing their case inbox. They could quickly respond to customers faster than ever before and resolve multiple cases with just one click. 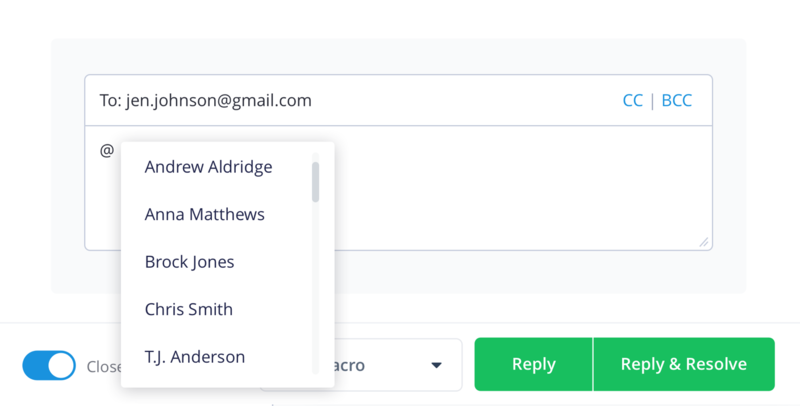 Macros granted users the ability to speed through cases. 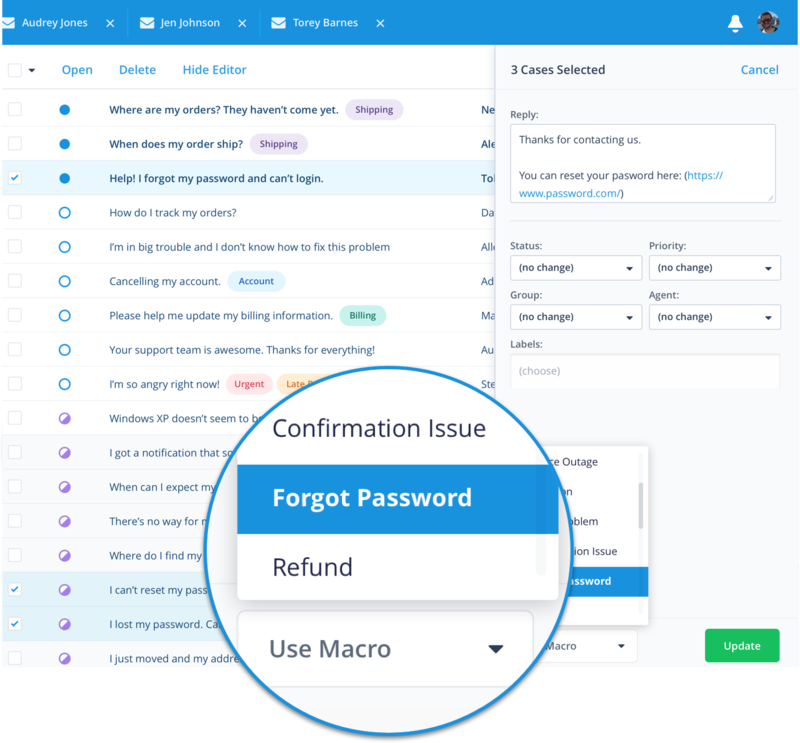 They could now rely on macros to quickly issue pre-written (pre-canned) responses to batch respond to frequent tickets; ie. forgotten password. Shortcuts like this were able to speed up the workflow for agents and ultimately move to resolve cases much, much faster. With the addition of quick access cases, agents were now able to batch open similar cases from the bulk selector or from the case filters. This improved their ability to stay focused and organized and allowed them to quickly knock out similar cases without context switching. The ability for agents to assign or reassign certain cases to their peers or managers was essential. 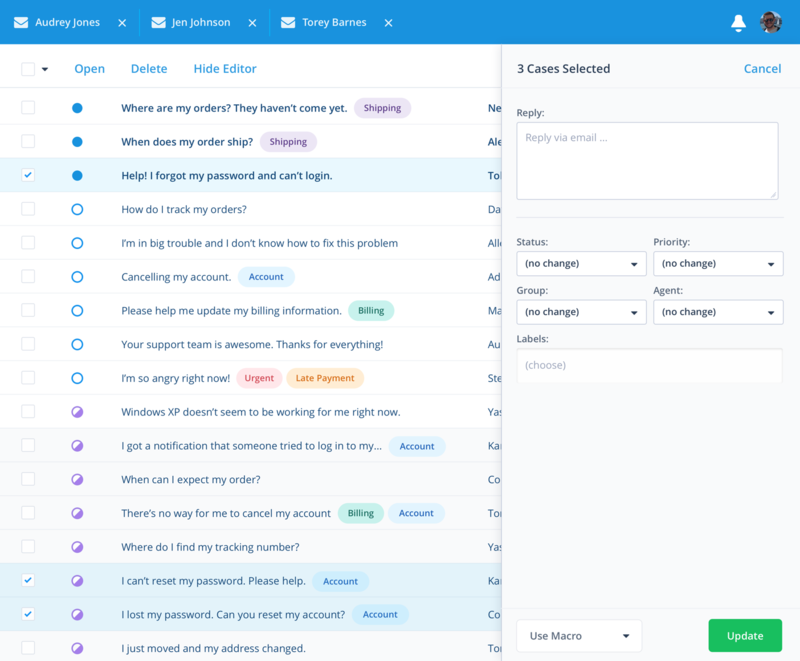 With this feature, agents were now able to escalate high priority cases to their managers, send bugs and technical issues to internal team members, and quickly get answers regarding the customers questions. 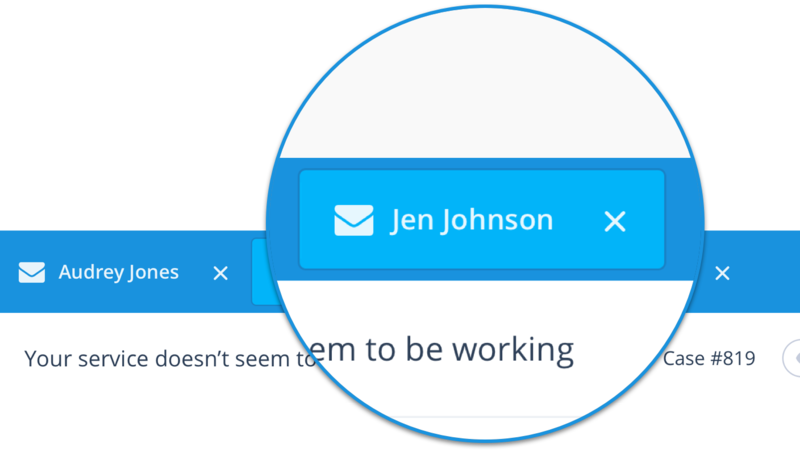 For various reasons, agents requested the ability to @mention other team members in both notes and direct messages to customers. This was low hanging fruit and made a great impact on the agents ability to close out tasks.